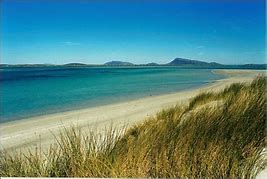 Sheila Park-MacDonald and I are hosting a lovely wee Yoga break in the Outer Hebredes, on the Isle of Benbecula. Yoga Weekend at The Wee Haven, Benbecula. 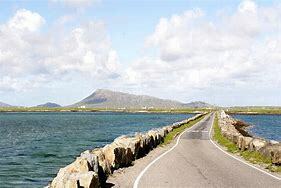 in the chain of islands in the Outer Hebrides known as the Southern Isles. to unwind, recharge and get away from it all! 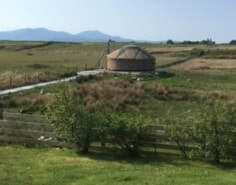 ​The weekend will be based in the Wee Haven's propose-built Yoga Yurt. (there are also other accommodation options we can recommend in the area). Or make it a longer holiday and explore the beauty of the Western Isles with some Yoga in-between. The Yoga, Movement and Breath classes are aimed at releasing physical tensions and slowing the whirpools of a very busy mind. Throughout the weekend you will experience interesting ways of encouraging better range of movement and breathing in your every day life, and take home plenty of practical ideas. Sheila, of The Wee haven, will infect us with her passion and enthusiasm for the beautiful place she lives, and provide delicious meals... so if you have any dietary preferences please get in touch! Arrive from 3pm, teas and coffee will be available. ​After dinner: Time for yourself, or join us for walk to the beach and bonfire. Or ChillTime if it's bucketing! It's kind-of up to you what you spend! Or, if you come for the full weekend, your Yoga and meals will be £150 (excluding accommodation). It should be noted that ferry travel does get busy during the summer months so early booking is advisable particularly if you intend to travel by car. 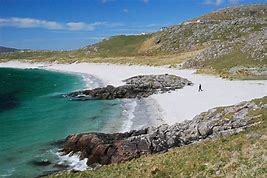 www.visitouterhebrides.co.uk has lots of info regarding the local area, accommodation and travel to help plan your trip. www.calmac.co.uk Caledonian Macbrayne operate sailings to North Uist and South Uist. The Wee Haven is approximately 20 miles from both ferry terminals. A pick up service can be arranged from the closest bus stop if it is required. Flight time from Glasgow is approximately 50 minutes. Please get in touch with Sheila if you need help booking anything! It should be noted that accommodation does get busy during the summer months so early booking is advisable. The Wee Haven has 1 self contained glamping pod which can sleep 2 with 1 x double bed and 1 x pull out double sofa bed and offers boutique style accommodation. www.nuntonhousehostel.com is a 5 star hostel, 3 miles from The Wee Haven situated in the township of Nunton, together with Ceann na Pairc Guest house. Various B&B’s are within a mile of The Wee Haven in Torlum: Borve Guest House & Hebrides House. Shellbay camping/caravan site at Liniclate is 1 mile from The Wee Haven. Transport can be arranged from your accommodation to The Wee Haven if you are staying for the duration of the weekend. giving yourself time and space to be more focussed on feeling rather than thinking. You will release muscular and mental tension and encourage free movement along your spine. We end the evening in relaxation with the wonderful So-Hum breath meditation. 7-8am: Earth Meditation and The Tibetan Rites with Brenda. and awakening our whole body with gentle movement. From there we explore the more dynamic Tibetan Rites and their options. Both the Earth Meditation and Tibetan Rites are great for a short home practice a few times a week - no Yoga mat is required! You will get hand-outs to take home to continue on your own, or get your whole family involved! feeling rooted, giving ourselves a stable yet soft grounding to grow into various yoga postures. We find ourselves practicing the sun salute in a completely non-strenuous, extraordinary way. The Tibetan Rites will weave their way into the class, along with breath awareness and releasing tension throughout your whole self. In original yoga texts, breathing was very quiet, very still and very slow. However, in many 'modern' yoga classes, breathing is big, sometimes loud. It seems something has been lost in the breathing message, in transmission and translation, over the many years. can have detrimental affects on our mental and physical health. and only from there start to allow it to expand. I will also introduce the Buteyko Method, and how it dovetails beautifully with those original yoga breathing texts. so come prepared to challenge existing ideas, and be open and curious to new knowledge. mentally and physically - in a profound and lasting way. building on from working with gravity, letting your tension melt and finding a deeper strength within you. with less effort and no strain in your breath or body. ​Yin Yoga is a lovely style of Hatha-based practice. gives us time to practice long, slow, soft, quiet exhales while letting go of all tensions. so the practice is a deep meditation for mind and body.